Bike, run, walk and swim your way to excellence in San Luis Obispo County (SLO CAL). Let ocean breezes and the sound of seagulls push you across the finish line. Cycle through wine country. Or, combine your three favorite passions and compete in a rewarding triathlon in Morro Bay or Paso Robles. Whether you&apos;re in it for the mileage or a confidence boost, these 2018 SLO CAL marathons, 5Ks, rides and rallies will fit your goals. This spring trail running, obstacle and military experience race festival is open to all levels of athletes. Activities include a 5K, 10K, kids one-mile, leadership team reaction course, Cerro Romauldo hike, challenge obstacles & ropes course, historical tours and more. The March Triathlon Series offers both sprint (750-meter swim, 20 KM bike and 5 KM out-and-back run) and Olympic (1,500-meter swim, 40 KM bike and 10 KM out-and-back run) distance races. Four routes on rural SLO CAL roads will have you riding by vineyards, ranches and oak woodlands. Choose between 97, 75, 63 and 45 mile-long routes. These routes will take you from Paso Robles wine country to beautiful coastal views. All skill levels are welcome and can choose from 40, 70, 87 and 127-mile routes. Collectors of vintage road bicycles will love the Concours d&apos;Elegance. Full marathon, half marathon, 5k and two kids races plus a FREE festival of music, art, food to celebrate Endurance Town USA. This Memorial Weekend partake in one of 25 rides, various bike activities and cycling festival with live music, beer and wine tasting, lounge and so much more. After you finish your 5K or 10k run/walk, race straight into the annual Arroyo Grande Strawberry Festival and rest those weary bones. 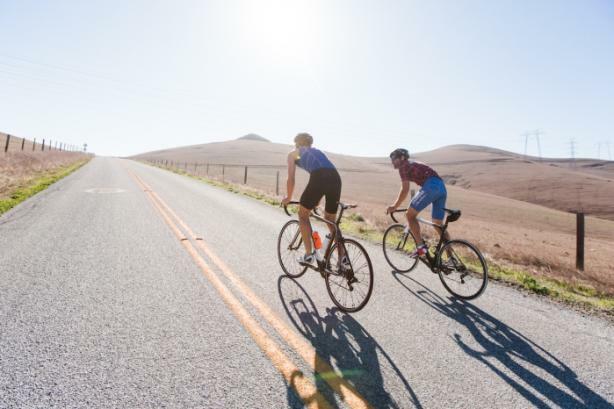 Enjoy a day of cycling along SLO CAL&apos;s beautiful and rugged North Coast. Try your skills on the sand! This 6-mile run/walk will take you from Morro Rock to the Cayucos Pier. This down and back run will have you running along the shore along Pismo Beach. This run, held in conjunction with the Stone Soup Music Festival and Street Faire in Grover Beach hosts runners and walkers on the boardwalk, sand dunes and hardpacked sand. This annual two-day event in private Wild Cherry Canyon in Avila Beach allows trail access for trail hiking, running and mountain biking races. This two-day event includes the only tow-at (jet ski assist) air division on the Central Coast. 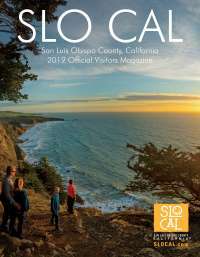 Enjoy scenic vistas and cool ocean breezes as you traverse SLO CAL&apos;s north coast. This second annual World Surf League Qualifying Series event brings world-class surfers to the shores of SLO CAL. While you may not be able to simply sign-up for this event, you can sit back and take it all in. Swim the bay, bike through Morro Bay and Cayucos then hit the asphalt, hard-packed soil, boardwalk and hard-packed sand as you sprint towards Morro Rock.